Director of Nazra for Feminist Studies Mozn Hassan was prevented from travelling by airport security on Monday morning. 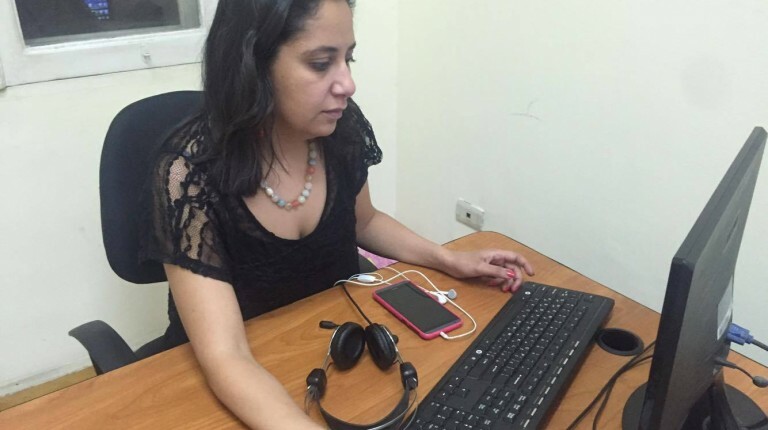 Hassan was travelling to Lebanon to attend a meeting held by the regional organisation of Women Human Rights’ Defenders MENA from 27 June to 1 July, Nazra said in a statement. The director of the non-governmental organisation (NGO) working on women’s issues found herself accused in the recently re-opened ”NGO foreign funding” case, which was launched by Egyptian authorities in 2011 and resulted in the closure of several foreign NGOs. Hassan, among other Nazra workers, was summoned for investigation in March. Nazra’s statement condemned the practice, describing it as “one of the measures undertaken by the state to crackdown on NGOs”. Despite being accused in the case, Hassan previously said in an interview with Daily News Egypt that she and her staff have agreed to continue their work, but are aware that they may receive an arrest warrant anytime. Several other civil society workers were previously prevented from travelling, on the grounds of being under investigation.